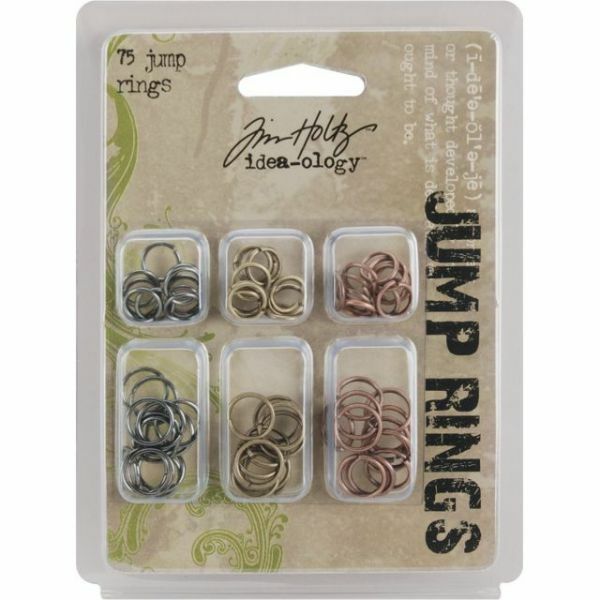 Idea-Ology Jump Rings 75/Pkg - ADVANTUS-Tim Holtz Idea-Ology Jump Rings. 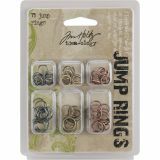 Jump Rings are great for all of your paper crafting projects from scrapbooking to cards and altered books to collages. This package includes seventy-five rings total (two sizes: 8mm and 10mm) in three antiqued metallic colors: silver gold and copper. Imported.